This was such a huge success last year so don’t delay call to reserve your tickets today! 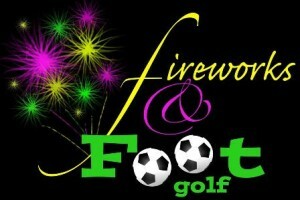 Join us on Friday 4th November for FootGolf in the dark (with the help of a few glow in the dark footballs! ), fireworks and food! Events will kick off with a junior/family competition starting from 5.30pm with the opportunity to win 12 months family membership on the Par 3/Footgolf course! This will be followed by the presentation of prizes for the competition,and then lighting of the Fireworks! A further “Adult” & over 16yrs competition will be start at approx 7.30 -8pm.